1. Advent Calendar finished in the nick of time! I have a tutorial to post later this week. 2. The Christmas DVDs are coming out! 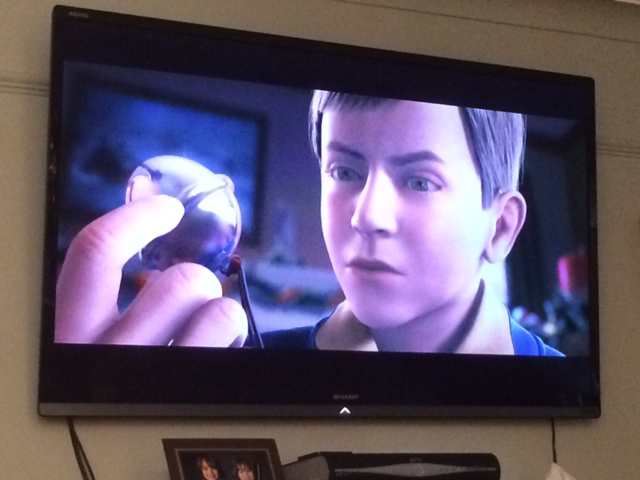 Watching “The Polar Express” with the boys. 3. 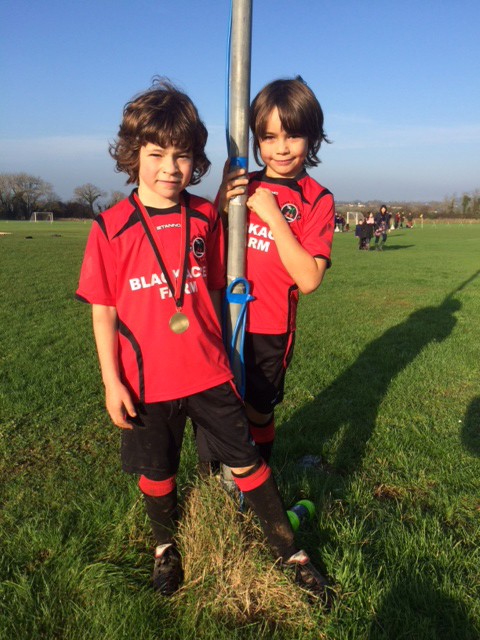 They drew 0-0 but Freddy got “Man of the match” – check out that medal! 4. 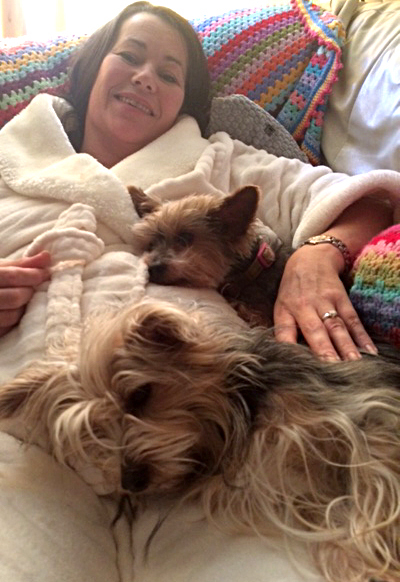 Fifi and Tess curled up as close as they can get – they definitely sense when you’re in pain. 5. 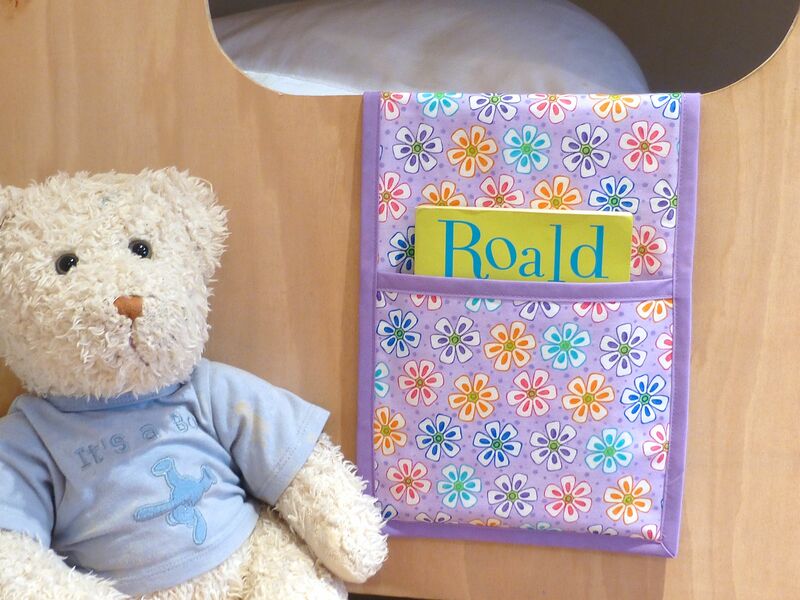 Bedside book bag (tutorial here) made for a little girl’s Christmas present…. 7. 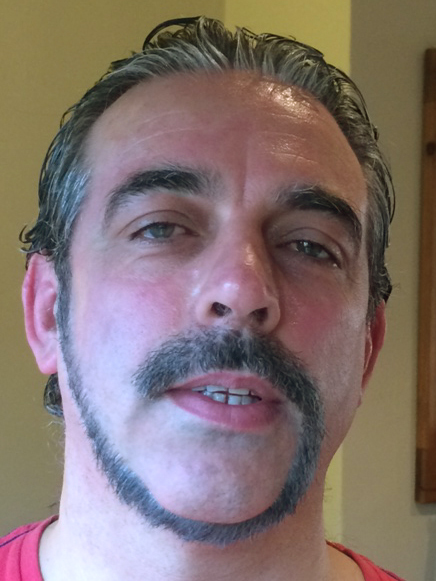 It’s coming off tomorrow – my husband’s “Monkey’s Tail” for Movember. 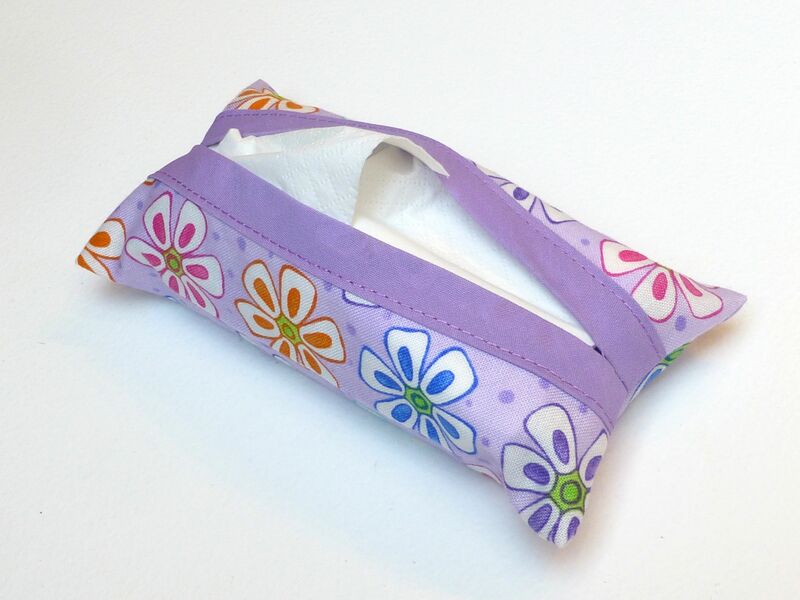 Categories: Crafts, Everything Else!, Sewing | Tags: Advent Calendar, book bag, Movember, Sundaysevens | Permalink. 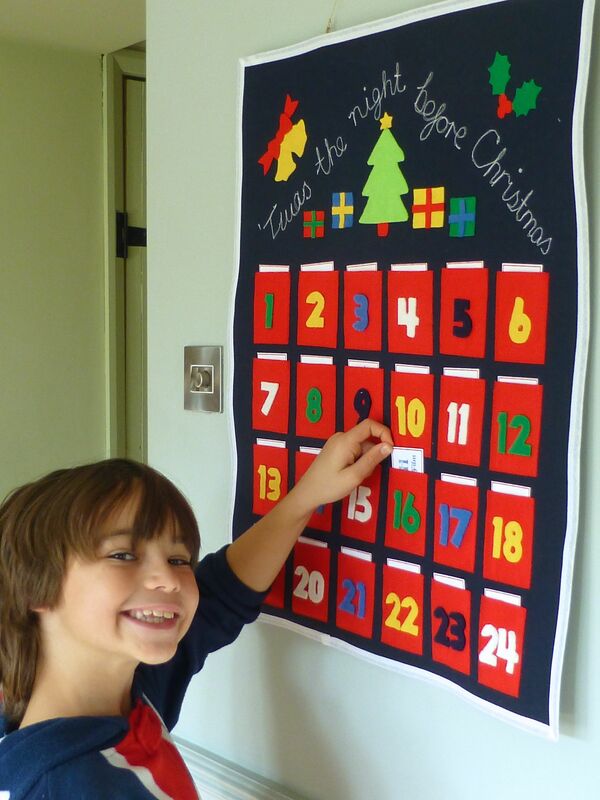 I love the advent calendar… I’m looking forward to your blog post to find out what you have put in those little pockets! Adam and I had a little chuckle at your husband’s monkey tail too, we both think that he should keep that all year round! It’s all in a good cause though and supposed to make you smile! He had cancer two years ago so men’s health is one of the things he likes to shout about:) I don’t believe in chocolate advent calenders so the ‘gifts’ in this one are slightly different. All will be revealed…. Trouble is, I don’t know when to stop! I’ve spent my tenner but I could continue making things out of my stash forever at no further cost!!!! I’m in the studio right now making yet another little gift….! That moustache is genius!!! He absolutely mustn’t shave it off! Anyway, I love the advent calendar. What’s on the little cards in each pocket? You’re going to tell me to wait for the tutorial to find out, aren’t you! Love the moustache! And I hope you’re feeling better.